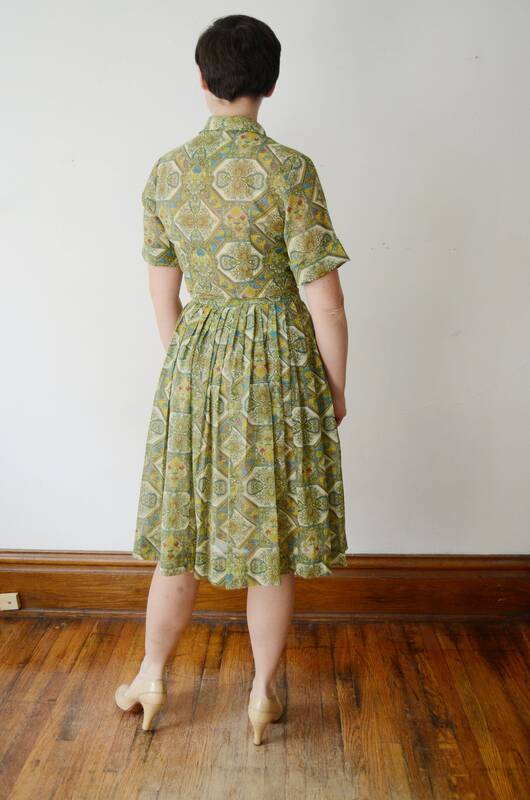 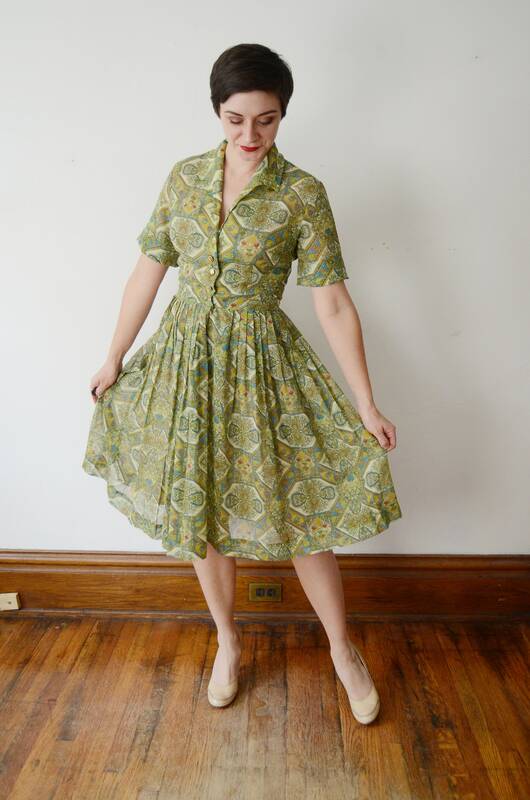 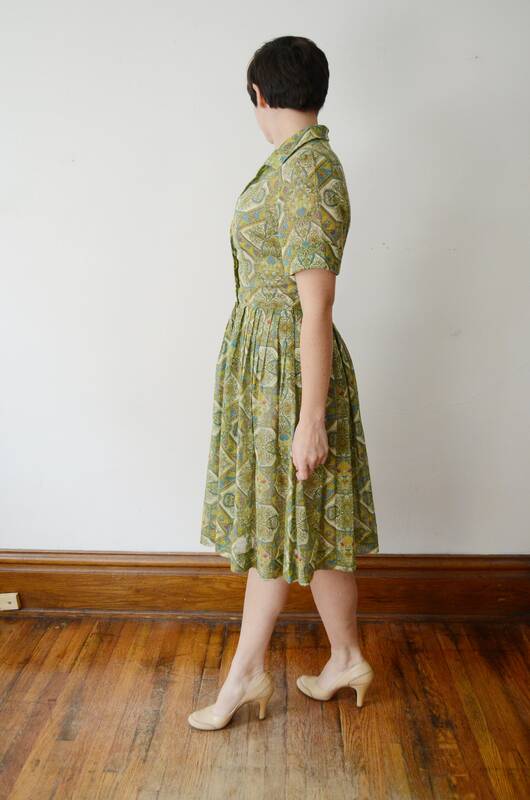 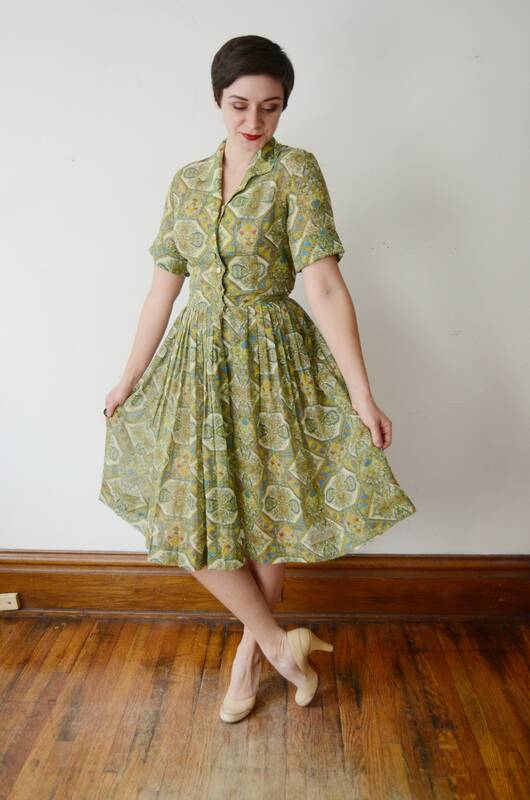 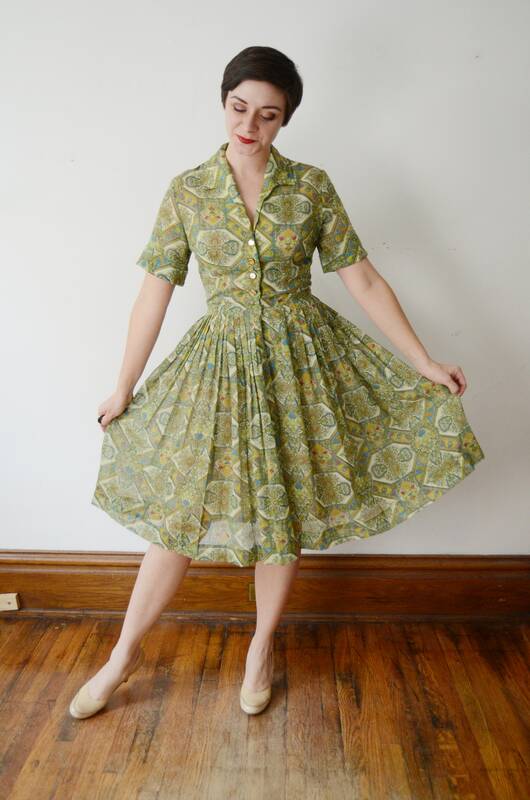 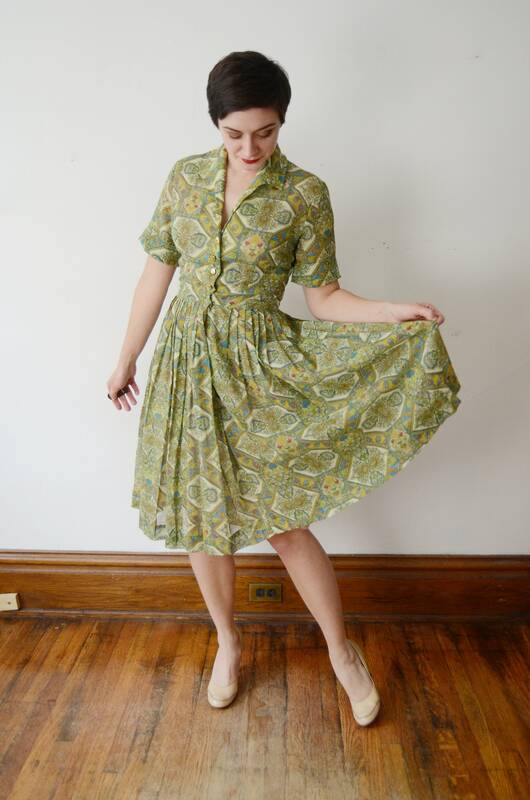 Description: Green paisley shirtwaist dress with gold buttons up the bodice. 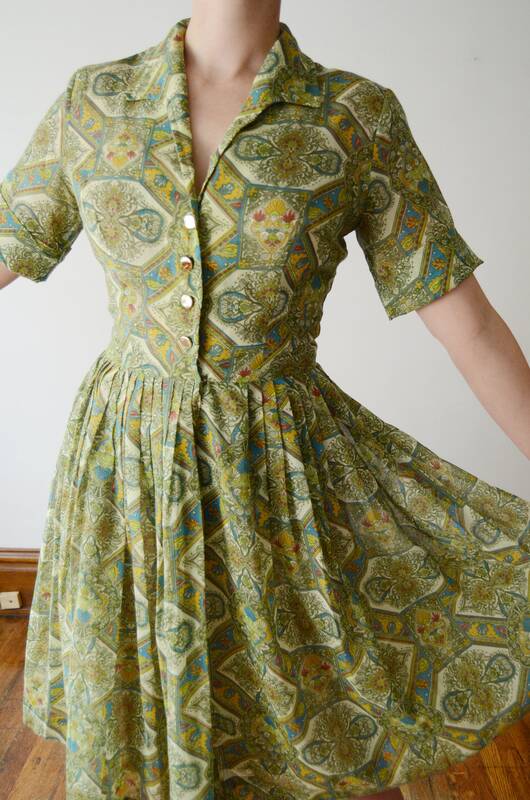 Fabric is pretty sheer. 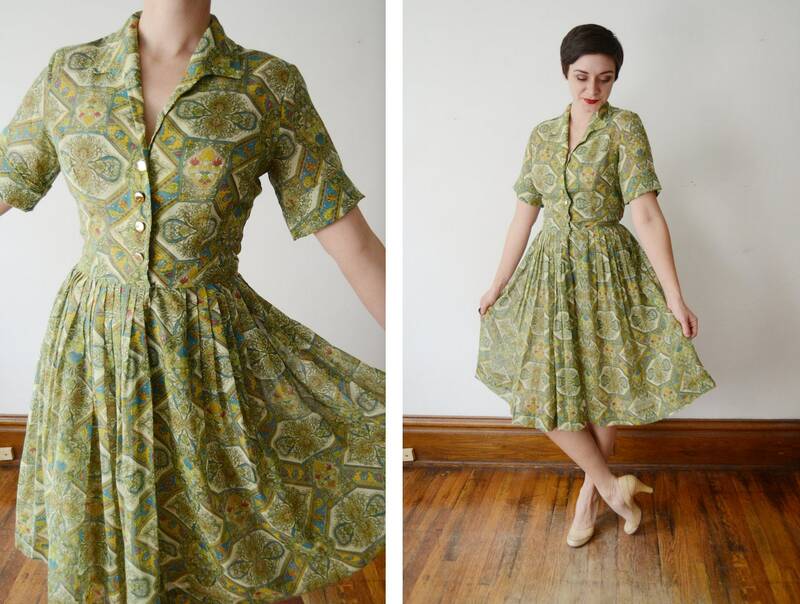 Fabric: Feels like a cotton voile, or blend.